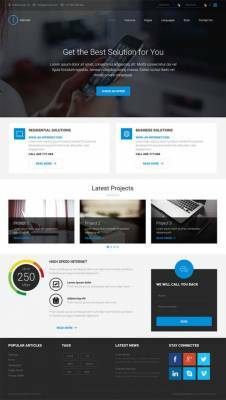 Joomla-Monster creates professional and high quality premium and free Joomla! templates for many thematic categories. 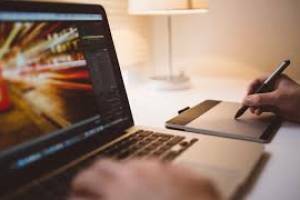 Customers may see customized demo site of each template which is diligently prepared for users that want to adapt the website to their needs quickly. We provide Quickstart packages with an exact copy of a demo site - easy to replace with your content. Our Joomla! 3 templates are build on powerful, modern and useful EF4 or EF3 Frameworks. Templates include great Joomla extensions - for galleries, ads, products catalog included for free in the template's price. 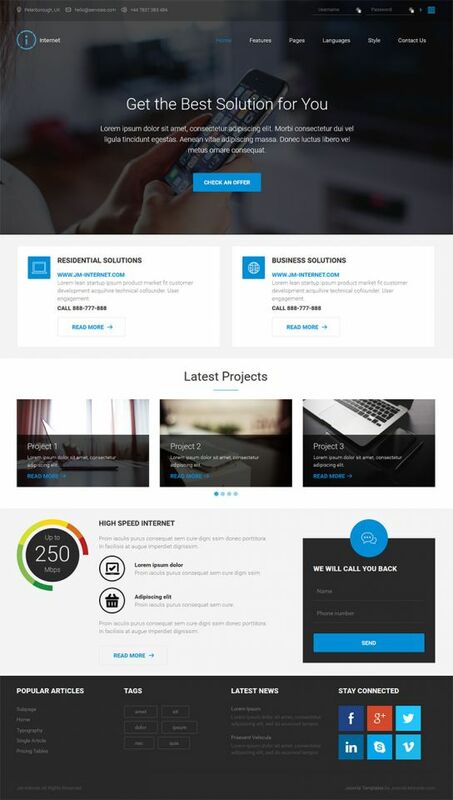 JM Internet is a free Joomla 3 template released a special bonus for our active subscribers. It was purposed for internet service providers. Can be used for personal or commercial,business websites. The template is based on EF4 - powerful framework for Joomla 3. Template layout is fully responsive - automatically adjusts to small screens. JM Internet uses free DJ-ImageSlider component to display slides in an attractive way. Another Joomla extension used here is DJ-EasyContact. It's a new module, that allows to send customers their phone number to let the company contact them. DJ-ImageSlider,DJ-Menu and DJ-EasyContact extensions implemented here are free. - one template - multiple purposes! - code injection option - paste Google Analytics script, Google Webmaster meta tag or any other custom code which needs to be pasted into the head section of the template. - W3C XHTML 1.0 Transitional. W3C CSS Valid. 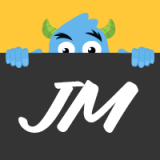 Joomla-Monster is a very experienced team - we are working together for more than 10 years. We are a company that specializes in creating professional business solutions in the form of high-quality free and commercial Joomla templates and Joomla extensions. Up to now, we’ve had a huge collection of professional Joomla themes which are created according to the latest web standards. They are perfect for your e-commerce, classified ads, product catalog or accessible website. Our Joomla templates are built on the powerful, modern and useful EF4 Framework. Templates include functional, commercial Joomla extensions (components, modules and plugins), included for free in the template's price. Our products are regularly updated to adapt latest Joomla release versions. Choosing our templates, you can build complex websites and use them for various purposes. 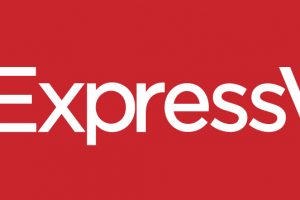 Hundreds of customers have benefited from our experience building their successive websites. We have helped thousands of customers in creating their website. Joomla-Monster is also a pioneer in creating accessible Joomla templates. It means that these templates are WCAG 2.0 and section 508 fully compatible. How Can a T-shirt Design Tool Benefit Your Apparel Business?